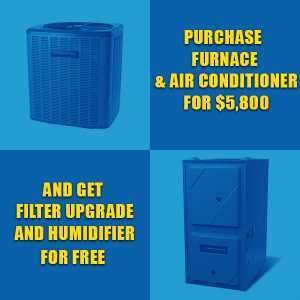 DeMarco Mechanical offers heating, air-conditioning, ventilation, air purification and air quality systems repairs, installations, and maintenance throughout Mississauga as well as the rest of the Greater Toronto Area. With the recent changes to the Ontario Building Code, homeowners in Mississauga need to be aware of energy efficiency requirement changes in effect. The changes, among them, changes to compliance packages and more, is intended to make buildings and building renovations more energy efficient while reducing operating costs. Home and business owners in Mississauga need to be aware of prescriptive compliance packages that are now 15% more energy efficient, impacting the installation of exterior insulation, doors and windows, skylights, heating, and heat recovery ventilation. Cities are taking advantage of the newer end, high-efficiency HVAC systems on the market, specifically designed to reduce energy waste. Your heater and air-conditioner are all that separate your home and business from the elements. For this reason, keeping them in top shape is imperative in Southern Ontario. Without heat and cooling, we are left to brave the elements on our own. 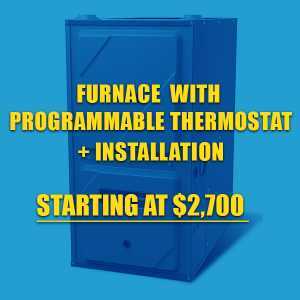 DeMarco Mechanical offers quality heating and air-conditioning services in all of Oshawa and the surrounding Greater Toronto Area. For the best services, environmentally friendly HVAC systems and Ontario’s Save on Energy Program accommodation, you can make your home more efficient and environmentally friendly while saving money. DeMarco specializes in quality systems, excellent customer service, and competitive rates. For excellent service in the Oshawa region and further, don’t hesitate to contact DeMarco Mechanical. The city of Vaughan strives to continuously achieve better annual energy efficiency and energy management effectiveness. The city’s Conservation Demand Management Plan outlines resources aimed at improving the energy efficiency of both commercial and residential buildings. DeMarco Mechanical offers help with both corporate and residential energy efficiency throughout the GTA. Our company continuously helps home and business owners implement the best heating and air conditioning systems which reduce energy consumption and maintenance. We install and deliver the best quality products and offer the best services in the Vaughan area and further. Our professional teams offer the services necessary to deliver quality heating and cooling services in Vaughan. We also offer upgrades which save you money by limiting energy consumption. The Durham Region is committed, alongside DeMarco Mechanical to energy efficiency. DeMarco Mechanical offers high-quality HVAC services throughout Durham and in the surrounding areas, throughout the GTA. Our top of the line heating and air conditioning products, alongside our excellent repair services, allow us to help customers reduce their energy costs through the installation of new, advanced, energy efficient HVAC systems. The Durham regions emphasize the necessity of installing energy-saving measures such as energy efficient systems, programmable thermostats, non-electric forms of ventilation and ceiling fans. The Durham Energy Advisory Committee, a regional initiative to guide energy management across the area of both commercial and residential buildings, emphasizes the importance of heating and air conditioning in maintaining an energy efficient Canada. With costs of electricity rising, DeMarco works with people in the Durham region to help them find the perfect heating and air conditioning systems for efficient home and business functioning. Here are some of the ways we can help you today.